Hey there, e-Commerce people, Cart2Cart’s here! We hope you had a happy Easter and want to congratulate you one more time, in our favorite way - by expanding your migration possibilities. 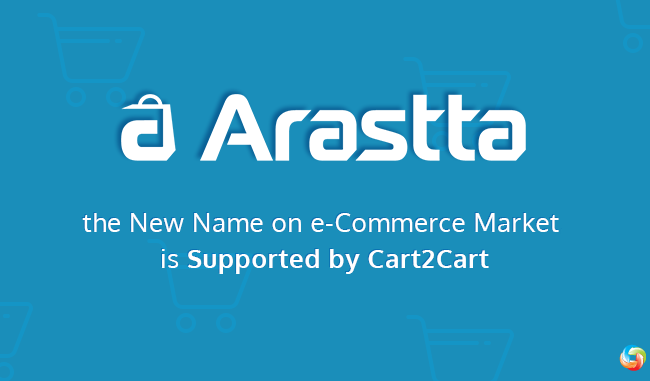 This time, we give you Arastta, the new but already celebrated name on e-Commerce market and the most recent partner of Cart2Cart service. From now on, Cart2Cart supports migrations to Arrasta shopping cart. As we've mentioned, Arastta is quite new to the e-Commerce market - the first version was released in May 2015. The cart is open source, lightweight and feature packed enough for creating a successful and unique online retailer. Its modules for drag-n-drop layout management make customization a breeze and powerful SEO toolset will bring recognition to your store promptly. On top of that, the platform provides a simple admin panel, high-speed performance and advanced security options - all for free. So, if you want to try out the new promising cart - Cart2Cart will gladly help. Register an account and perform migrations to Arastta easily, in a few steps. See for yourself, try a free demo right now.